Photographs from a Sunday morning outing have been uploaded to the August Gallery. Click the photo below to access the Gallery. In the meantime, enjoy the old database. A link has been added to the site’s overall header. It’s been a busy year and I know that updates to RCW have been few and far between over the last two years. 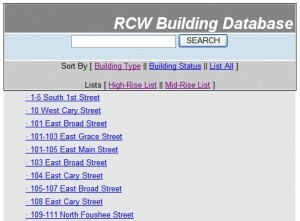 My hope is to provide consistent monthly updates to the RCW Gallery as well as work on bringing back the building database. I’m working on fixing a bug with the old pages and hope to have the database back online within a few weeks (if not sooner). Long term, I hope to revamp these pages to provide accurate, consistent data. I also hope to have photos attached to each building page, a feature sorely lacking at this point. Just a handful of new photos are up in the June 2014 Gallery. Please select the photo below to access the photo gallery. A small collection of photos to start the May gallery. Hoping to get out this weekend to add more photos to this collection. Please select the photo below to access the photo gallery. A small set of photos from January 18th are now online. 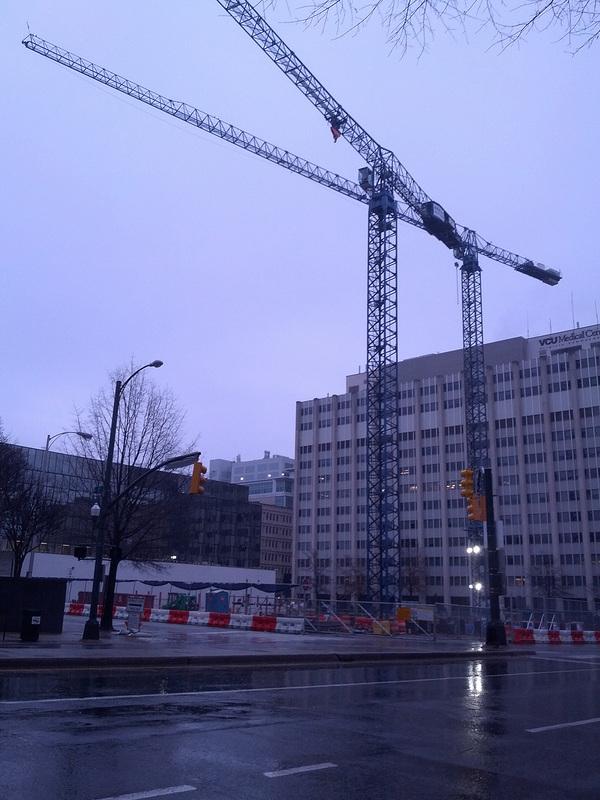 Just a few distant shots of the new VCU buildings on Grace Street from the Post Office on Brook Road are included. I’m hoping to get out this weekend for a more comprehensive set of photos.